In his journals, Charles Darwin described Tierra del Fuego not as its name would suggest, a land of fire, but as something dark, dank and deadly. It was here, at the southern tip of South America, that he had an epiphany about evolution. The indigenous nomadic Yaghan people, he noticed, survived in this cruel landscape without clothes or possessions—they had adapted to it. A Brit in the same environment, he thought, would not last two days. But McGehee found just the opposite: a fully functioning ecosystem rife with birds. Steven McGehee is like the migratory birds he studies. For almost 30 years, he has gone back and forth between the northern and southern hemispheres following research jobs. Florida, Mexico, Belize and Chile are just a few of the places he’s worked—answering very basic, but little-documented, questions about the avian world. Tierra del Fuego, though, is his great love. The view from Cerro Bandera. 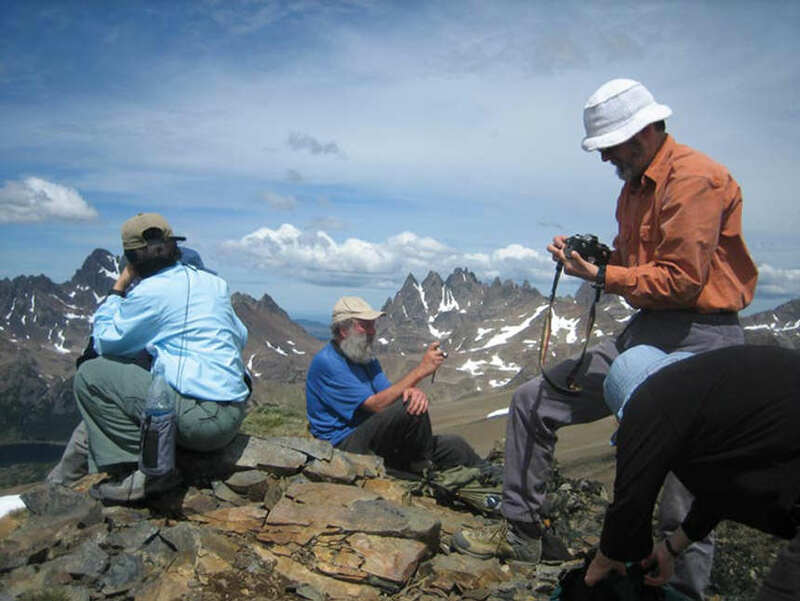 McGehee’s research, along with that of his colleagues, led to the creation of the Cape Horn Biosphere Reserve, a UNESCO (United Nations Educational, Scientific and Cultural Organization) World Heritage site designation meant to conserve wilderness, promote sustainable development for the people who live nearby and provide a laboratory for researchers. In McGehee’s estimate, the reserve is 95 percent untouched by humans, making it one of the largest pristine biosphere reserves in the world. Navarino is the largest and southernmost inhabited island of the area with a navy base and a town of 1,000 people. Its eastern third is technically not part of the protected area. At the research spot, called Omora Ethnobotanical Park (OEP), McGehee opens mist nets, fine pieces of billowing fabric designed to envelop a bird without harming it. He then measures and weighs the birds he catches, taking pictures and sometimes blood to look for parasites or to use in DNA analysis. Before releasing a bird he often places a band on it. If it’s noticed by people in other areas, the band can give researchers an idea of the bird’s migration range and its age. Birds in the region, McGehee has found, live far longer than elsewhere. “When I started getting recaptures of two or three years we were like, ‘holy cow.’ We’ve always assumed those small birds in the forest last one year, two max.” But the birds that have been banded are living upwards of eight. Some being recaptured in the same spot six years in a row. Even determining a bird’s species is difficult. Most people think we can just figure things out from DNA, he says, but that kind of analysis is just one piece of the puzzle; measurements and simple behavioural observation are also critical. As a younger man, most of McGehee’s research was in the jungles of Central America where he had run-ins with every-thing from jaguars and drug smugglers to machine-gun toting Guatemalan poachers. He watched as all his colleagues fell sick with malaria while he didn’t. Tierra del Fuego, for all its notoriety, is actually where McGehee feels safest. “As I got older it occurred to me that I had to be more careful,” he says. The only native predator in southern South America is the docile mountain lion. There’s also nothing that stings—no ants, bees, wasps—no crime and no malaria. But beyond that, McGehee found the Tierra del Fuego region stunningly beautiful with spectacular wildlife. In Navarino, he lived in a house overlooking the Beagle Channel. An average summer day had him waking up at 3 a.m. in order to get to the research area by sunrise, then walking for an hour past penguins playing in the surf with snowy peaks as a backdrop. The initial reason for McGehee’s trip to southern Chile was that researchers had witnessed a hummingbird there, a green-backed firecrown, assumed to be way out of its normal range. McGehee was asked to go down there to find out if it was nesting. He found, from catching and banding these tiny birds, that it was actually highly migratory and only appeared in the region briefly in the fall. Its brief appearance in Tierra del Fuego underscores its importance to the local culture. For the Yaghan, this particular hummingbird, known in their language as Omora, is an important deity. In their mythology, it shows up during times of trouble and leads the Yaghan to safety with knowledge and goodwill. It’s for this reason that OEP, separate from the biosphere reserve, is called an enthnobotanical park. Here, researchers, both Chilean and international, try to unite science with the humanities, partnering with local Yaghan people to create a sustainable relationship between humans and their environment. 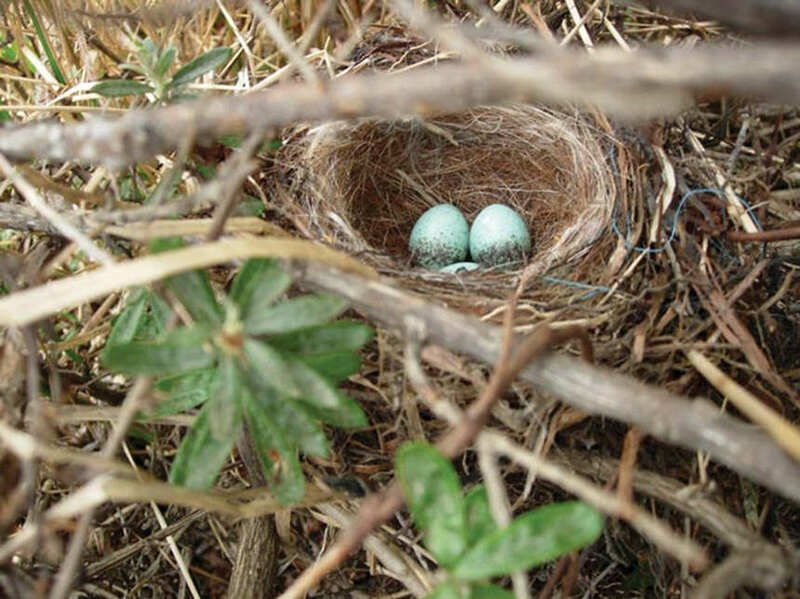 The nest of a Patagonian Sierra-finch. Darwin spent much of the trip from Europe to Navarino with three native Fuegians. These three Yaghans had been kidnapped by the Beagle’s captain on the first trip to the region and had been sent back by the British authorities. They spoke great English, and Darwin, who was prone to seasickness, spent most of the voyage lying in his bunk chatting with them. He built from these conversations a vision of a rich and vibrant Yaghan civilization. Upon arriving in Navarino he was surprised to find that Yaghan families owned almost nothing—usually just a spear and a canoe—and wore no clothes (they preferred to go naked). In other words, they were what Victorian Brits would call “primitive.” But that was the 19th-century view. The modern philosophy around the ethnobotanical park is that, in fact, the Yaghan, far from being uncivilized, actually had a sophisticated interaction with their environment. That’s something McGehee understands. Not surprisingly, he is somewhat skeptical of civilization-as-we-know-it: he doesn’t own a phone and hasn’t watched TV in 30 years. Given the choice he’d rather be in the field sleeping in a tent, safely away from the ‘concrete’ world. McGehee’s research led to the creation of the Cape Horn Biosphere Reserve; 95 percent untouched by humans, it is one of the largest pristine biosphere reserves in the world.